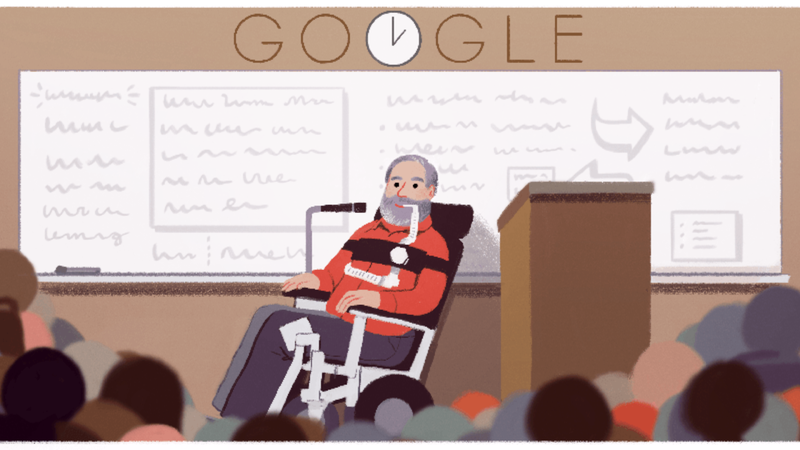 Google Doodle pays tribute to Ed Roberts, an early leader of the disability rights movement and co-founder of the World Institute on Disability. After contracting Polio at age 14, the disease left Roberts paralyzed from the neck down. In spite of spending the rest of his life in a wheel chair and unable to breath without a respirator, Roberts fought for his rights – starting in high school when he was told he wouldn’t receive his diploma because he had failed to complete phys-ed and driver’s ed requirements. Roberts petitioned his school and was awarded his diploma. He went on to be the first University of California Berkley student with severe disabilities. Among his accomplishments as a disabilities rights actives, Roberts created the Physically Disabled Students Program at his University. California Governor Jerry Brown named him Director of the California Department of Vocational Rehabilitation in 1976. Seven years later, Roberts co-founded the World Institute on Disability – a nonprofit focused on disability rights policies, research and consulting. Marking what would have been Roberts’ 78th birthday, the doodle leads to a search for “Ed Roberts activist” and is being displayed on Google’s U.S. homepage. A combat Army veteran, Duckworth lost both legs co-piloting a helicopter in Iraq in 2004. 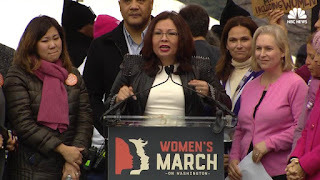 She handily defeated former Sen. Mark Kirk, a Republican, in the 2016 election to reclaim former President Barack Obama’s Senate seat for the Democrats. She also encouraged the crowd of approximately 500,000 people to stay involved and active in the political process. “This is what it’s about – it’s about you going home after today and standing up and fighting in your communities,” she said. “Don’t take what you do today and don’t let it end. Take it home, run for office yourselves. Get out there,” she added. The rally in Washington was the largest of more than 600 "sister marches" planned around the world - including the Women's March on Chicago that drew an estimated 250,000 people. As she accepted her Cecil B. DeMille award on Jan. 8 at the Golden Globes, acclaimed actor Meryl Streep sharply criticized President-elect Donald Trump for ridiculing a journalist’s disability. “The person asking to sit in the most respected seat in our country imitated a disabled reporter — someone he outranked in privilege, power, and the capacity to fight back,” she said. “It kind of broke my heart when I saw it, and I still can’t get it out of my head.” Streep was referencing a moment in November 2015 when Trump mocked Serge F. Kovaleski, a New York Times reporter with arthrogryposis. 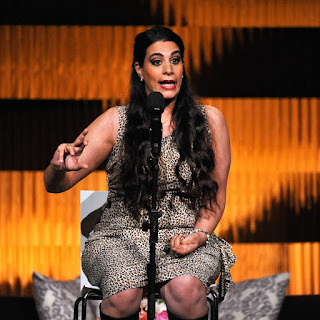 Comedian, writer, and disability rights advocate Maysoon Zayid (pictured) responded similarly to Streep’s speech. “She won’t get the Cecil B. DeMille Award again — it’s once in a lifetime, and she chose to use that platform to condemn something that was so painful to so many of us,” she told BuzzFeed News on the phone. The speech, however, was a reminder that Hollywood itself has a long way to go in destigmatizing disability. “Last night, the only mention of disability was Meryl Streep reminding the world that Donald Trump mocked us and became president,” Zayid said. Streep’s speech has come under fire from conservatives, for illustrating a “liberal bubble.” Countering this charge, Matlin said that increased inclusivity on TV shows and movies can work to puncture a bubble that mostly excludes people with disabilities. “When you create a role for a character with disability, you get a potentially richer, more interesting story that accurately reflects the varied fabric of America,” Matlin wrote.